A British soldier was shot dead in Belfast. Four British soldiers were killed by a landmine bomb planted by the Irish Republican Army (IRA) at Ballygawley Road, near Dungannon, County Tyrone. Another soldier was killed by a booby-trap bomb at Forkhill, County Armagh. James Fowler, a former member of the Ulster Defence Regiment (UDR), was shot dead by the IRA in Omagh, County Tyrone. Three members of the Irish Republican Army (IRA) escaped from Brixton Prison, London. One of the escapees was Gerard Tuite who had been imprisoned for bombing offences in London in 1978. Seamus Mallon, then Deputy Leader of the Social Democratic and Labour Party (SDLP), is removed from his Northern Ireland Assembly seat by an Election Petition Court. The reason given was that Mallon was a member of the Irish Senate at the time of the election. Security forces in the Republic of Ireland rescued Don Tidey, who had been kidnapped by the Irish Republican Army (IRA). During the rescue at Ballinamore, County Leitrim, there was a gun battle and an Irish soldier and a Garda Síochána (the Irish police) cadet were killed. 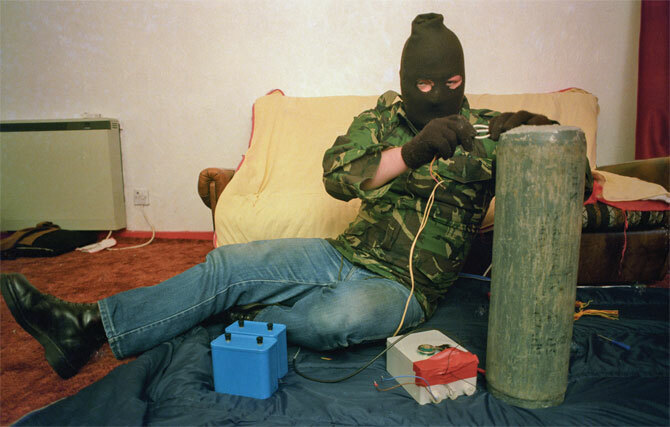 The Irish Republican Army (IRA) carried out a ‘proxy’ bomb attack on the Royal Ulster Constabulary (RUC) station on the Lisburn Road in Belfast. The station was destroyed in the blast and an estimated 700 homes and scores of business premises were damaged. The Irish Republican Army (IRA) exploded a bomb on a railway line in south London causing disruption to the rail service. Patrick Mayhew, then Secretary of State for Northern Ireland, gave a speech at the Coleraine campus of the University of Ulster. In the speech Mayhew said that the British government had no “pre-selected constitutional outcome” in political talks. 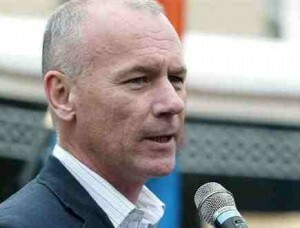 Mayhew also said that Sinn Féin (SF) could be included in future talks if the IRA ended its violent campaign. 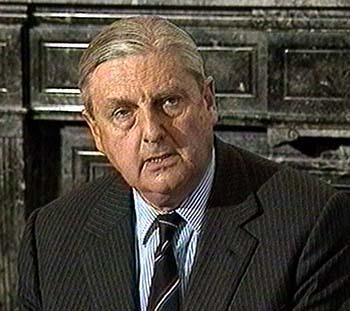 Tony Newton, then leader of the House of Commons, announced the decision to create a cross-party parliamentary committee at Westminster on Northern Ireland affairs. John Bruton, then Taoiseach (Irish Prime Minister), shook hands with Gerry Adams, then President of Sinn Féin (SF), at the Forum for Peace and Reconciliation. Padraig Wilson, then Officer Commanding the Irish Republican Army (IRA) prisoners in the Maze Prison, was released under the terms of the Good Friday Agreement. Mitchel McLaughlin, then Sinn Féin (SF) chairman, resigned his post as a local councillor to concentrate on his role as a Member of the Legislative Assembly (MLA). Mary McAleese, then President of the Republic of Ireland, addressed both houses of the Oireachtas (the Irish Parliament) and called for a socially inclusive Ireland. Shot while on British Army (BA) foot patrol, Alma Street, Lower Falls, Belfast. Found shot at his butcher’s shop, Derrylin, County Fermanagh. Shot at his off-licence shop, York Road, Belfast. Killed in land mine attack on British Army (BA) mobile patrol, Ballygawley Road, near Dungannon, County Tyrone. Shot while driving mobile fish and chip van, Omagh, County Tyrone. Killed by booby trap bomb hidden in derelict house, while on British Army (BA) foot patrol, Forkhill, County Armagh. Shot during gun battle between the Irish Republican Army (IRA) and Irish forces, at the release of kidnap victim Don Tidey, near Ballinamore, County Leitrim. Killed in bomb explosion outside his home, Milltown View, Tullyally, Derry. Off duty. Shot while delivering coal, Ardpatrick Avenue, Downpatrick, County Down.